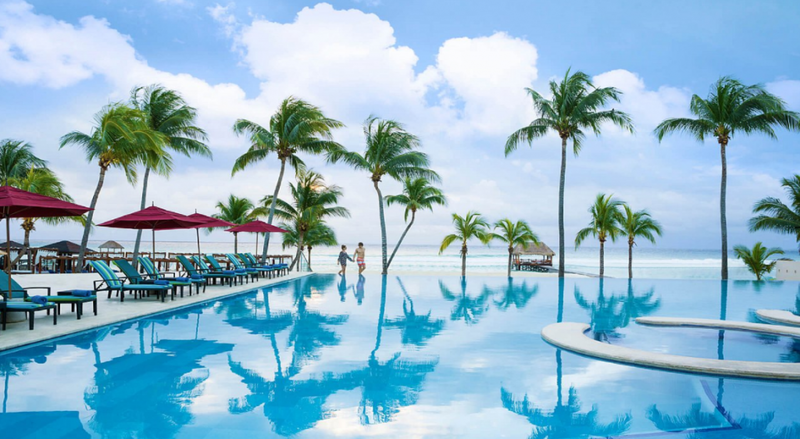 Top Family AND Adult-Friendly All-Inclusive Resorts! Planning a family vacation (as much as it is exciting), can be a little difficult. Aside from finding a great resort that’ll keep little ones entertained, it’s also worthwhile to find a property that caters to adults as well. After all, it is OUR vacation too! I was beyond thrilled to discover that you really CAN have the best of both worlds! When you travel with kids, you don’t want to sacrifice any part of your experience. Here are five great resorts that offer the perfect balance of fun, adventure, relaxation and luxury for everyone! Foodies in the family will rave about this resort’s culinary collection. The property’s trademark, Karisma Gourmet Inclusive Experience, offers nothing but the freshest ingredients and the best in service. For those looking for a little R&R, the resort’s Vassa Spa offers a little piece of serenity and relaxation. Aside from the usual spa services, the Vassa Spa also offers the Azulitos Spa Services, a fun and special service geared just for kids ages 5-17. What better way to bond than by sharing special little treatments with your little ones! 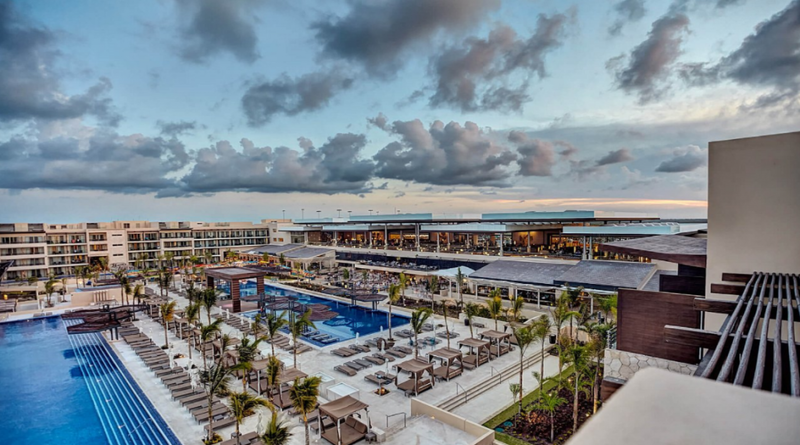 With an unreal water park (complete with water slides), the Dreams Playa Mujeres is a hub of fun for the young and young-at-heart. Outside offers a lively atmosphere; but the property’s interiors offer a tranquil retreat from the hustle and bustle. Plush accommodations and ultra-luxurious amenities really cater to adults just looking for some peace and tranquility. We should give a round of applause to those who designed this brilliant resort. This property is cleverly laid out, with a lively family-friendly area on one end of the property and a quieter, adults-centric area in the other, making it a great choice for multi-generational travellers and family reunions. 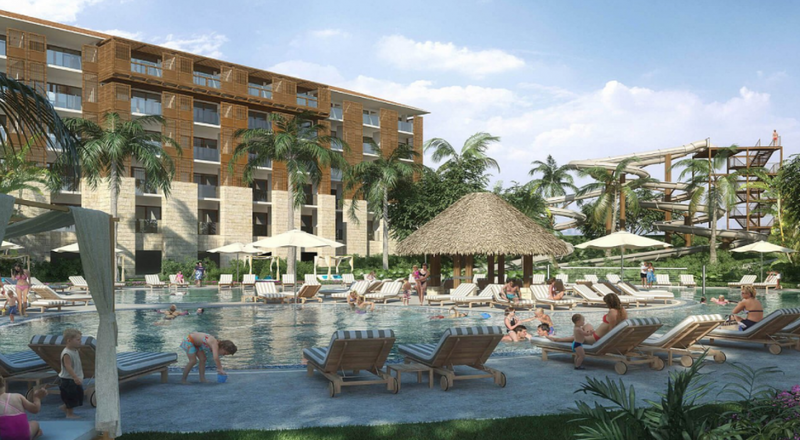 This popular hotel chain recently expanded its properties to the stunning destination of Punta Cana. 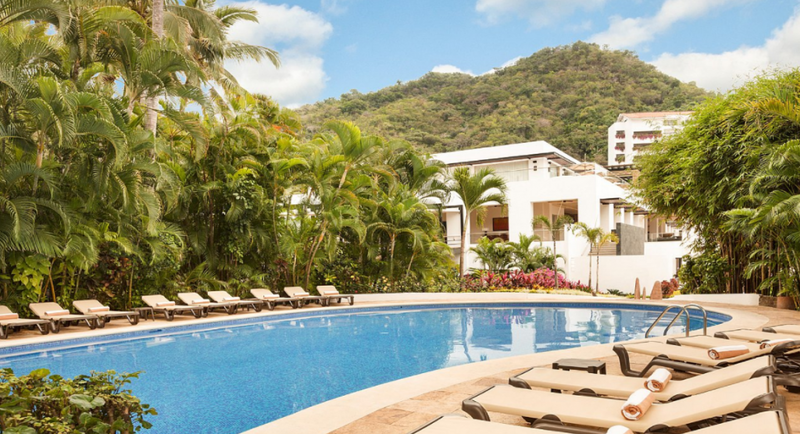 While the destination itself is notable for its quiet and relaxing atmosphere, the addition of these lively and fun resorts mean that guests are given the perfect balance of adventure and serenity. Perhaps what’s most notable with this property is the Splash Water Park, which can be conveniently accessed by all the RIU hotels. 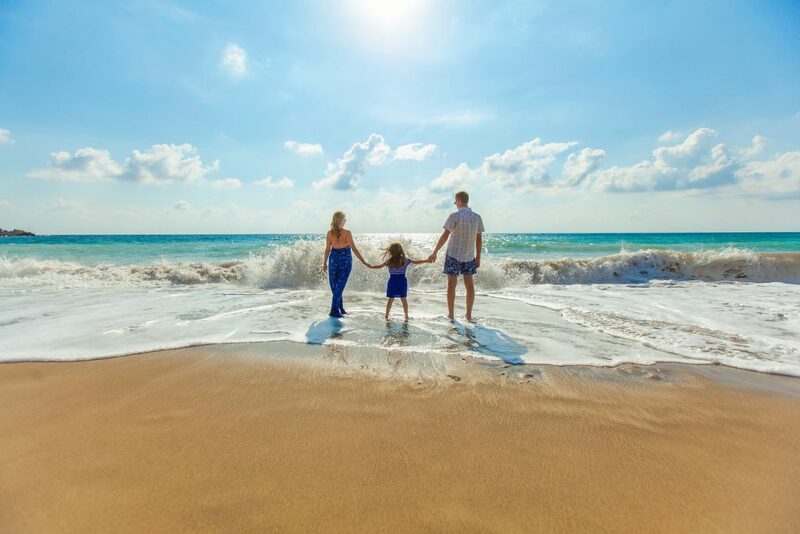 Hyatt Ziva Puerto Vallarta: This is great choice for adventurous families. Its close proximity to Puerto Vallarta’s Old Town and the Malecon Boardwalk makes it a great “home base” after a long day of exploring the city. Its quiet and semi-private location also provides a great retreat for those just looking to lay back. If you’re a family looking for specific experiences,go camping with some of the Best Tents, amenities or features for your next all-inclusive vacation, but don’t know where or what to book, our online friends at Escapes.ca, really know their stuff! These well-seasoned and travelled Vacation Specialists sometimes know first-hand how to navigate through planning a family vacation. Without a doubt, they are able to make sure that your family getaway is memorable and filled with fun. What do you look for in a resort? More and more of my friends are doing all inclusive and tell us how great and how much they are enjoying going this route. Could use some fun in the sun. I would be perfectly happy at any one of these destinations. I am definitely ready for another vacation. These all sound like great resorts to visit. I really want to go on another trip like this soon, so I better start scouting out great locations. Yes, these are all great locations! These all look like fantastic places to stay. I look for all inclusive food and drinks when I go to a resort. Yes, all-inclusive is very important! The Hyatt Ziva Puerto Vallarta would be an amazing resort to go for a week. I will have to look at planning it for next winter. Any of these would be an amazing time. I agree, then again, I would go to any of them, anytime! I have been looking at all inclusive resorts to go to in 2017. Thanks for the great ideas. I will have to add these to my list. Great, hope you find one here that you like! My family is trying to think of a trip for the spring and these are awesome options! They are all so awesome! These are really great suggestions! All these look amazing! I wish we can visit at least one or two of these places. All of these are such great ideas! I am ready to travel some more in the upcoming year. 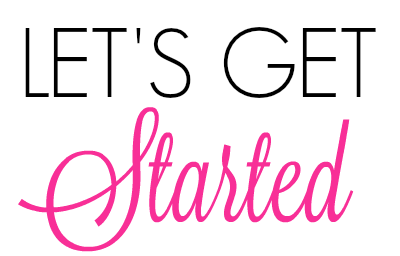 Now you have a place to start! These are excellent choices, I have to look into them. All inclusive is definitely the way to go when you have kids! The food is always the bigegst thing for my family and I. This place sounds like it has it all! Any of these are a hit! Big part for us too! These are all beautiful resort! Would love to take a trip in february! We have been to several Riu and love them!!!! The last one we went to was the palace in Cabo and omg!!! Amazing! Sweet, glad you liked them! Ooh. I stayed at RIU in Can Cun when I went there a few years back with my friends. Awesome place. Great rooms. Loved it. That is awesome to hear! Glad you enjoyed it. Time for a repeat? Oh my gosh you make me want to pack my bags right now! There are so many places I want to visit in I would say all of the ones you mentioned on here are close to the top of that list. What amazing places to visit. 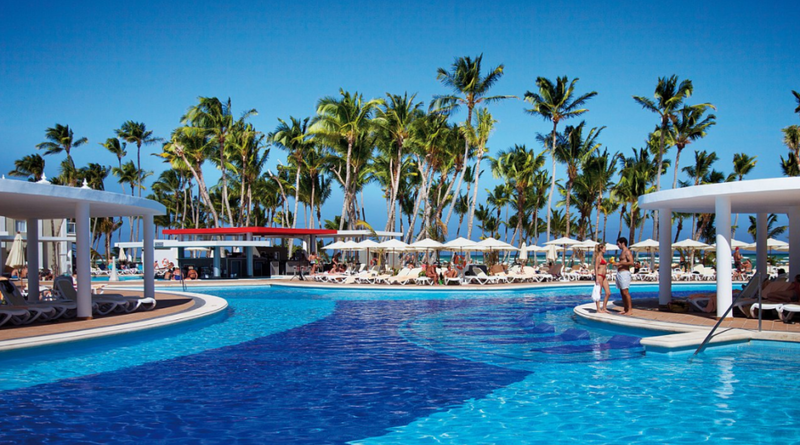 I can see myself sitting poolside in Punta Cana right now! It is gorgeous, you have to visit. We love all-inclusive resorts–they are always so convenient and fun. I love the recommendations for new places–the RIU one has been on our radar for a while! Hope you make it there!